Filmmaker Magazine and the IFP Los Angeles Film Festival have selected three filmmakers for the Fast Track program, debuting at the festival in June. Filmmaker and the IFP/LA will mentor the filmmakers as they gather the resources necessary to begin production. Here, Tamara Krinsky introduces the projects whose successes  and possible failures  well be tracking over the next few issues. The IFP Los Angeles Film Festival and Filmmaker Magazine have collaborated on the creation of Fast Track, a new program designed to assist Los Angeles Film Festival alumni in the development, production and financing of their new feature projects. Supporting three projects and filmmakers, the two organizations will this summer broker meetings, arrange in-kind support and consult on various aspects of the production. As a trade-off, the filmmakers have agreed to share the details of their successes (and possible failures) with Filmmaker readers over the next several issues. Here, then, are the 2003 Fast Track participants in a kind of detailed tip sheet to allow you, the reader, to handicap their chances of success. The Project: In this noir crime drama, Samuel returns after a mysterious absence to L.A.s Koreatown to seek justice for the murder of his best friend and to win back Vera, the love of his life. To do so, he seeks the help of his mentor and only remaining friend, a retired gangster trying to leave the world of crime behind. In a place where trust is a currency that must be spent wisely, however, loneliness forces each character to look within and find truth in his or her own life. Writer/Director: Chris Chan Lee wrote and directed Yellow, a $150,000 independently financed feature film about the harrowing and violent graduation night of eight Asian-American Angeleno teens. The film played at the LAFF in 1997 and was released in the U.S. by Phaedra Cinema (now Pathfinder Pictures) and worldwide by Cinema Arts. In 2002 Lee completed a one-year stint at Mediacorp Studios in Singapore directing English-language prime-time television series. 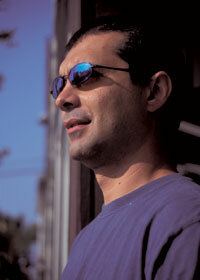 He has also directed music videos for the Asian-American artists Seam and the Mountain Brothers. 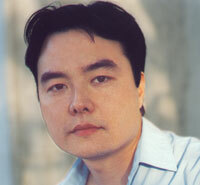 Lee is a graduate of the University of Southern California School of Cinema. Producers: The film is being produced by Eric Kim and Catherine Park. A former agent, Kim formed EK Management in 1999 and recently produced the indie feature Going Greek. Park is an independent consultant, advising companies on strategies to develop their businesses, assemble teams and secure funding. She is also the CFO/COO of Giant Robot, an Asian pop culture magazine and retail store. Quantum Film (On_Line) is doing the title sequence and visual effects. Current cast attachments include Sung Kang (Better Luck Tomorrow) and Pam Grier. The film is being executive produced by management consultant Philip Lam. The Wish List: "All the money in the world," Lee jokes. "Were in preproduction now, so its really nuts and bolts. We need a lot of physical production things. Were still working on vendor deals. On the creative side we have all the special effects and digital services donated to the project, but theres a lot of hard costs in terms of going from film to digital and then back to film. Its locations, its money, its time." Kim said theyll worry about distribution after the film has been made and then look to hire a producers rep and a publicist. The Plan: Although no one would reveal the production budget, the plans are to shoot for 24 days on 35mm in mid-June. "I would love to shoot six or eight weeks, but once you start adding time it just inflates the budget astronomically," Lee says. "Were going to go into editing and post immediately after, so wed love to have it done by the end of the year." Ideally, the festival circuit and a distribution deal will follow. The Selling Points: "We spent a lot of time working on the script and refining it so that we have what we feel is a very strong, compelling story," Lee says. "Weve got this really strong crew of extremely talented actors on board." Adds Kim, "Another strength is the fact that Chris is not a first-time director and his first film was shown at the L.A. Film Festival. He does have a track record." The Challenges: Time. The film is in an active stage of preproduction, and the essentials of production must come together quickly if all is to go smoothly. Filmmakers Take: Comments Filmmaker editor Scott Macaulay, "Projects already in preproduction in this presumably lower-budget range usually have a hard time attracting financing from distributors. The distributors would rather see the film made for more money and in a way that would allow them to exert more control over the production. So its smart that the filmmakers are concentrating instead on raising private equity and goods and services. There are private equity players and new production companies out there who might be impressed with Lees festival record and want to participate." The Project: In this sweet, funny and slightly subversive romantic comedy, neurotic loner Ira and free spirit Abby meet and marry impulsively. Multiple divorces, in-laws, affairs, ex-lovers and many, many therapists force the couple to examine whether "I do" is the only path to lifelong love and happiness. Writer/Actress: Jennifer Westfeldt. Westfeldt co-wrote, co-produced and played the title role in the indie hit Kissing Jessica Stein, released by Fox Searchlight Pictures. The film won the Audience Award for Best Feature at the 2001 LAFF, along with a Special Jury Prize for Writing and Acting. Westfeldt started her career as a New Yorkbased theater actress, starring in more than 25 Off-Broadway and regional productions. Television credits include roles as a series regular in Two Guys and a Girl and recurring roles on Judging Amy, Hack, David E. Kelleys Snoops and the WB pilot The Gene Pool. Producer: The film is being produced by Brad Zions, a film producer and entrepreneur. Zions is the founder of Breakout Pictures, a production company focusing on emerging talent, and previously worked with Westfeldt as one of the producers of Kissing Jessica Stein. Zions is also the co-founder of H Starlet, a womens contemporary clothing line. Prior to founding Breakout and H Starlet, Brad spent five years (19941999) as a director of AOL International at America Online. The Wish List: "Were in the development/packaging stage," Zions says, "where were attaching directors, key cast and financing, trying to get the elements we need to get the film made." The Plan: "Were very open with this one," Westfeldt says. "On the small, indie side wed want to make it for $3 to $5 million, keep it manageable and be involved with every creative decision. On the bigger end, we could also see it going the midrange studio movie route, like an About a Boy, with a budget around $15 million, where there is a star attached but its not made as a huge Hollywood thing. My writers voice tends to fall in between the true indie and the true Hollywood mainstream movie. I definitely feel like I have a lot of mainstream comedic elements in my writing but also a lot of quirkier, more off-the-beaten-path sensibilities. Flirting with Disaster has been somewhat of a paradigm for this film, in that it wasnt made for a ton of money but it had some mainstream elements and some edgier elements as well." The Challenge: Finding the right male lead to play "Ira" to Westfeldts "Abby." Says Westfeldt, "Its not a regular leading-man role; its not like anyone can play it. Its very specific. Once upon a time there were a zillion actors who couldve played this  the young Dustin Hoffman and the young Richard Dreyfuss, the young Albert Brooks and the young Woody Allen  those quirky leading men. And now we have three or four of them, they all make tons of money, and theyre the most sought-after people in Hollywood, so its very tricky." The Selling Points: "I think we have a great script to start with and I think weve got somewhat of a track record," Zions says. "Jen and I worked together before. Were not working in some different genre  were not trying to make a $100-million-dollar sci-fi action movie; were going to make another smart, urban romantic comedy. So in terms of either raising money or working with a studio, they can say, We have an idea that theyre going to deliver another quality product." Adds Westfeldt, "Both with Kissing Jessica Stein and with this project, I think Ive been able to turn classical forms a little on their head. In this story, theres a slightly subversive look at marriage. Its a bit topical. I think this is another zeitgeist that were just tapping into, and part of me feels like, Oh, I want to make it soon because everyone else is starting to make stuff like this now."
Filmmakers Take: Says Macaulay, "A decade ago there were few open directing assignments for indie-oriented directors. Thats changed in the past few years as many of todays independent directors dont always write their own material. Of course, these directors also look for projects already set up with financing, but here Westfeldt and Zions track record at making a commercially successful film and raising private capital should speak for the projects viability." The Project: A contented salesman is teamed with the top moneymaker in a New York conglomerate, a grumpy loner who tries to show him and his fiancée the awful realities of the world. In the end, its they who show him the horrible truth of life. Writer/Director: Michael Caleo. Caleo started his career in cable television, writing and producing for such shows as Pop-Up Video and Red Handed. He moved to film, penning scripts for Jay Roach at Warner Brothers and Chris Rock at Miramax. In 2002 he directed 40, a viciously funny short film starring Jon Tenney that premiered at the LAFF and played at festivals around the country. He served as story editor and wrote episode number three for the upcoming season of the HBO series The Sopranos. Caleo recently completed the directors lab at IFP/West and is currently writing a film for Columbia Pictures and producer Cathy Konrad. Jersey Films and 3 Arts Entertainment are producing the film. Matthew Broderick is attached as one of two male leads. The Wish List: "Jersey and 3 Arts are on board as producers, but they are not financing the film," Caleo says. "In order to get the money, we need to package the project. Once thats in place, Ill need a good line producer and a strong storyboard artist because its my first feature. I think the other really important thing is finding a marketing person who really understands how to sell this film noir wrapped in a dark comedy." The Plan: Caleo would like to be in preproduction by the end of the summer in time for a New York or Toronto shoot in the fall with an anticipated budget of $4 million. Hes hoping for an eventual platformed release. The Selling Points: Broderick has been very supportive of the film, and the script has several challenging, meaty roles for actors looking play multifaceted characters. The Challenges: "Because this is my first feature, casting becomes that much more important when trying to obtain financing. But getting name actors to read for a smaller script is tough," Caleo says. "Plus, I need someone who has the right chemistry with Matthew. Weve had interest from many people, but it all hinges on finding the right person who fits into the financiers comfort zone and fulfills the artistic needs of the script." Filmmakers Take: Says Macaulay, "As Caleo observes, casting is key here. Broderick is a fantastic start, and at a certain point additional names will create the critical mass allowing a company to feel secure that, at the least, ancillary sales will cover their investment on the film. If the cast is going to be built up, both the producer and, as Caleo notes, a good line producer should budget the film to demonstrate that above-the-line costs will still leave money left for a solid production."